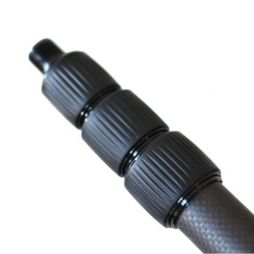 Lightweight, carbon fibre boom pole. 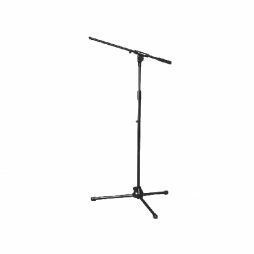 Boom stand useful for keeping a microphone locked in one place for long interviews. Or if your sound engineer needs a break. 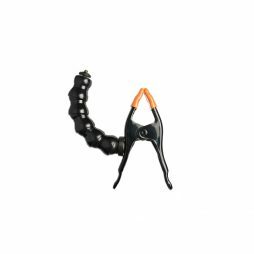 The Nasty Clamp is a high-quality metal spring clamp featuring a six-inch long threaded arm with a maximum payload capacity of 450g. We found a multitude of uses for these: French flag holders for matteboxes, for attaching lightweight lights to cameras & stands, useful for clamping microphones – and even rigging smaller cameras.